A writer says goodbye to the bookshop that marked the passage of his life, as it shuts down today, February 28, 2018. When I was five my parents took me to visit Bombay, as it was still called. For the time we were in the city, we lived in one of its great towers, the likes of which I had never seen before. In an attempt to make me feel right at home my parents took me to a bookshop. Tucked away in the by-lanes of this vast city, it was the only bookshop I had seen in my life other than Manney’s in Pune, where we lived at the time. Great towers, this time of books, rose before me, names and titles stacked one over the other. A narrow, seemingly endless staircase led to the children’s section. My parents bought me a children’s edition of Shakespeare’s plays. A few years later when we moved to the city, the great towers had names that I would remember, and the streets that coiled around them like giant serpents did too. I knew how to navigate the giant serpents, I knew that when I left the sea behind me and saw Flora Fountain and the Four Seasons I wasn’t far from Strand Book Stall. I went back to Strand, climbed the deep, narrow stairs and read. As time passed, Strand became integral to my survival, my escape from the confusions of chemistry and the madness of mathematics. I no longer needed to climb the stairs to the children’s section because the looming towers of books on the ground floor began to make sense. I had met some of the books before, some were introduced to me, and others I bumped into without meaning to. At the end of my dreaded ICSE exams, my parents gave me a book on the history of art. On my eighteenth birthday, my mother gave me a copy of Rumi’s poems and when I graduated from college my father bought me a copy the collected works of WB Yeats’s poems. My professor Eunice gave me Old Possum’s Book of Practical Cats and my friend Jerry introduced me to Anne Fadiman. Strand provided some of the relief of buying birthday presents and on my eighteenth birthday, my alter ego, Raksha thought she should introduce me to Rodion Romanovitch Raskolnikov, the protagonist of Crime and Punishment. When I turned twenty one, my book-sister, Shilpa introduced me to Peter Hoeg. And I saved enough money to buy Ka, a book that would unknowingly change my world. It was Strand that marked the passage of my life. I rarely read the newspaper because I don’t like to start my day with bad news but the other day, uncharacteristically, I opened the newspaper and read that Strand was closing down, after being in business for seventy years. 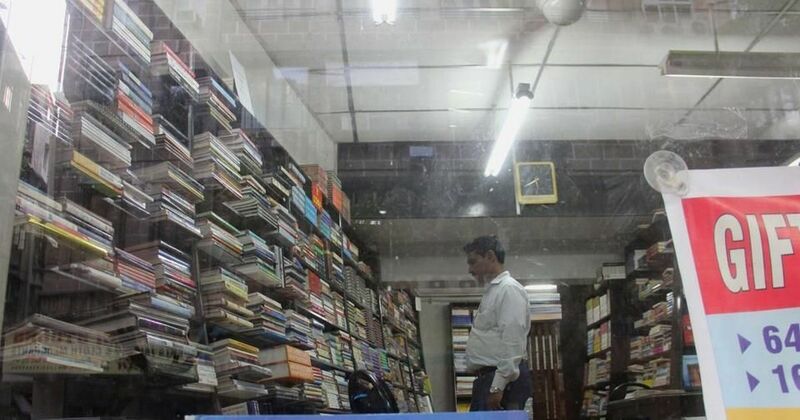 The article described how TN Shanbhag had started Strand because he was once asked to leave a bookshop for browsing. So, he set out to create a place where you could meet old friends, or if you were shy, you could spend some time with a new one and get to know them. Starting off as a few shelves at the Strand Cinema in Colaba, the bookshop grew into the place we know today in Bora Bazar at Fort. 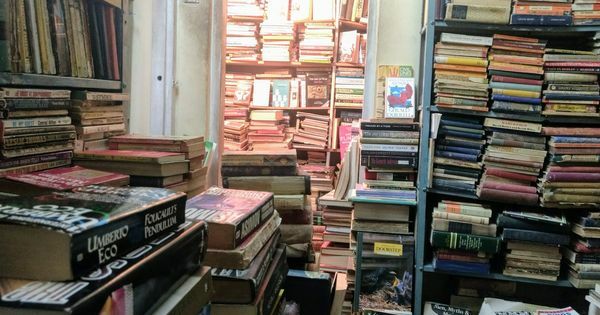 Books came in from all over the world, readers buried themselves between shelves and suggestions of what to read next were shared by customers, Shanbag’s staff and him. Strand and the reader were intertwined. If you needed a book you requested it at Strand knowing that a phone call would be made and weeks later the book would be waiting for you on your next visit. But that was before Amazon and Flipkart. In the years since it started, Strand had opened branches at Infosys and Wipro campuses in other cities and all of them shut down soon after. It’s far-fetched to say that people are not reading, when reports state that India’s reading and publishing community is reasonably healthy, with smaller publishing houses now dotting the landscape. But as is the case with some bookshops, what they can do an e-commerce site can do faster. The bookseller or the bookshop? A few years after Shanbhag’s death in 2009, the bookshop lost some of its colour and it no longer smelled of fresh clay, titles hadn’t been changed since he had last ordered them and some of the staff moved to a newer bookshop around the corner. As is with many places around the city, it began to empty out. I was one of the people to leave. I hate to confess that I moved to other bookshops, bookshops that were more current, with newer friends I could make. In the many articles that have appeared since the news spread on Twitter, Vidya Virkar, Shanbhag’s daughter who has been running the store after his death, spoke about how difficult it is to sustain a brick and mortar business any more. She spoke about a time when books from Europe and the United States were not available in India except at Strand. Others wrote about Shanbhag’s commitment to the reading community of Mumbai, about Strand’s history in post-independence India. But nostalgia can cast a long shadow. Perhaps it is also true that all the articles published after Shanbhag’s death and Strand’s closing bound the two together, as if they were one and same, making it difficult to extricate one from the other. And we are left to wonder if Strand’s end wrote itself when he died. Was it the books that made the store or was it Shanbhag’s rare commitment to them that did? As we charge through the 21st century at breakneck speed, it is a good time to think about our own relationships with places and the people who make them, and if we find comfort in the vast web of the Internet or in old places that smell of clay. As I write this I look for my own copy of Dr Zhivago, inherited from my grandfather. And on the inside is a date and the words “Strand, Bombay”. I imagine I am one of the thousand now connected by a bookshop and a love of reading. Perhaps it’s the end of the old order, of places that smell like clay and feel like astrological maps, a constellation that links us to someone across a vast landscape, whose bookshelves, like my own, are flooded with books from Strand, which we will, every now and then, pull out, smell the pages of, and not forget.